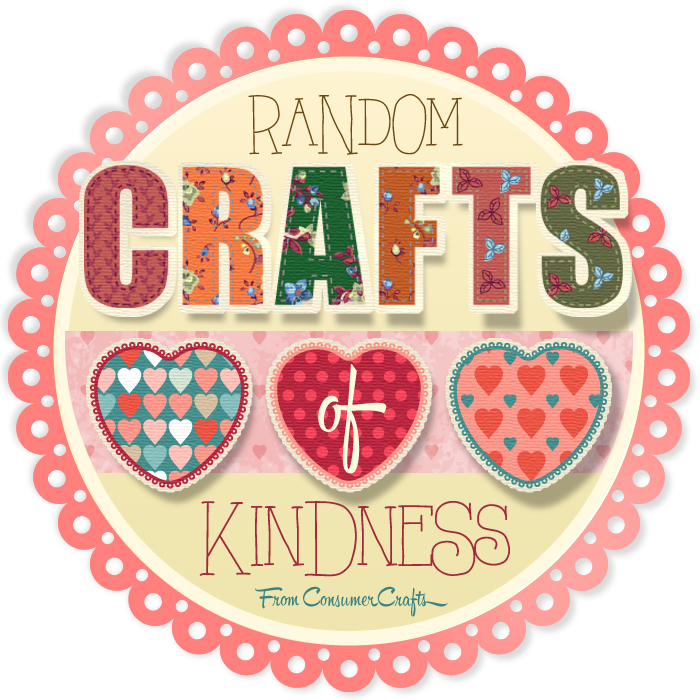 This blog post is part of ConsumerCrafts.com Random Acts of Kindness campaign. All opinions and ideas are mine. The holidays are just around the corner and this time of year I think a lot about the special people in my life. I am so blessed to have amazing family and good friends. And over the last several months my true friends have really shone through! From phone calls to texts, emails to FB messages, random treats and dinners being dropped on, so much kindness beyond what we could have imagined. I have been blessed by so many acts of kindness that I will never forget and will always be grateful for. And so I decided it was time to pay it back! I recently saw a Holiday Decor item in the pages of the Pottery Barn catalog that I fell in love with and knew I wanted to recreate! Note, they do not sell this in the store though. I always fall in love with PB’s other decor items that they don’t sell. But I knew this one would be simple enough to recreate and the perfect gift to give to a friend! I love how it turned out! 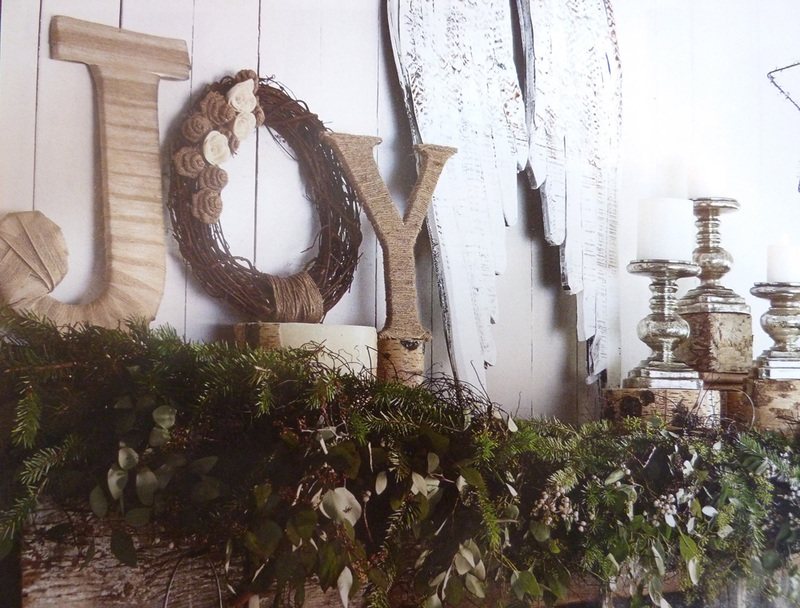 Here is my version of Pottery Barn’s JOY. And here is what the original JOY looks like in the PB catalog. So pretty! 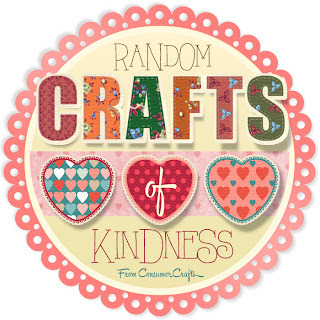 I was so excited to partner with ConsumerCrafts.com to spread the love and the “joy” with their Crafters Random Acts of Kindness campaign. 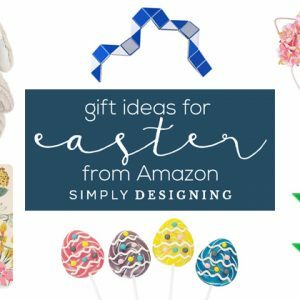 I was challenged to create a craft to give away that cost under $20 from supplies purchased at their amazing online store! There are so many people that I could have created and given this gift too and it was really hard to decide on one person. But the person I decided to give this to is someone who constantly brings me JOY. She is a friend who always has an ear to lend, encouragement to give, and empathy beyond measure. She has seen me through thick and thin and over the last few months especially, she has always been there for me. She has cried with me and laughed with me. She has been a support in ways that I can’t even begin to number and through it all she has helped bring me JOY and helped me to find JOY. She is a true friend. So I knew that this craft was a perfect gift for her and I set off to create it! 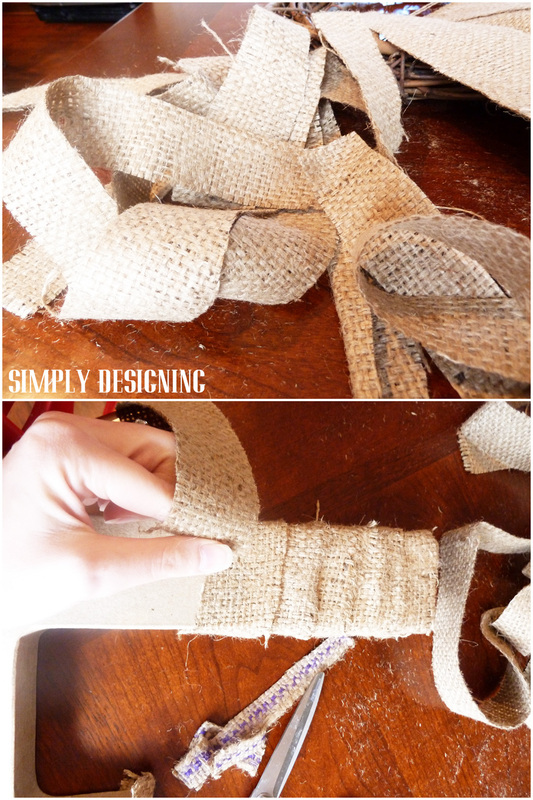 First you will cut the burlap into strips. 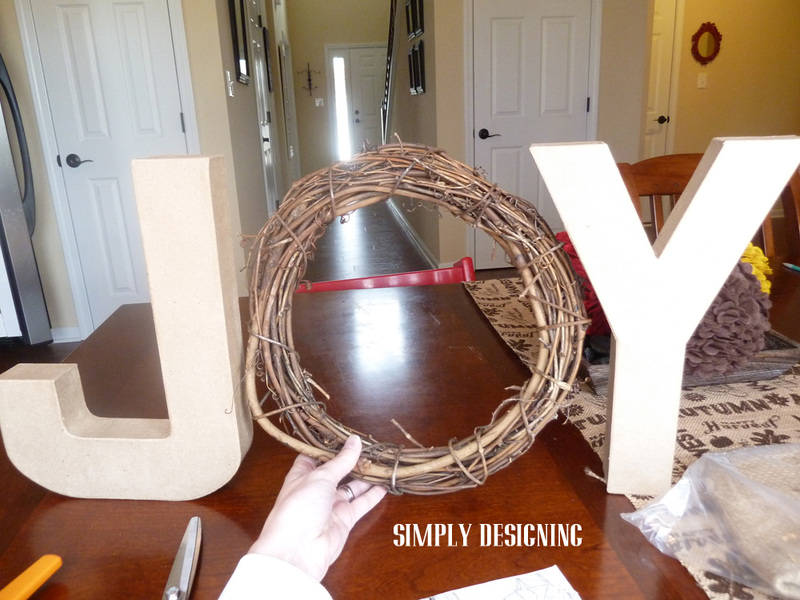 Then using a little bit of hot glue to secure it down, wrap the burlap around the letter “J” until it is fully covered. 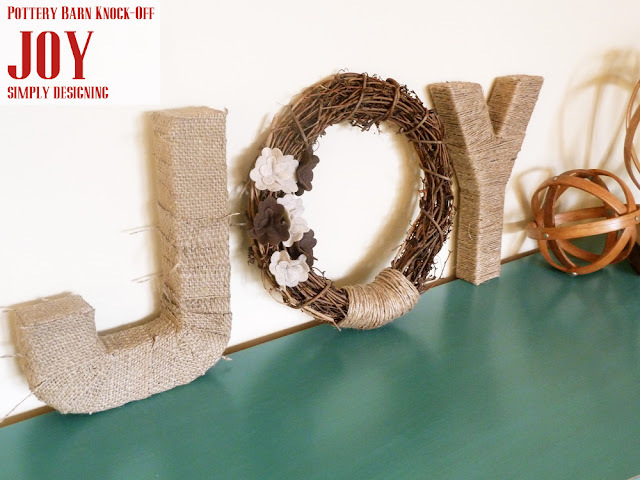 Next wrap the letter “Y” with jute and use hot glue to tack it down as you go. Third, use a die cutter with a flower die to cut out flowers from tan and brown felt. Or you can cut these by hand as well. 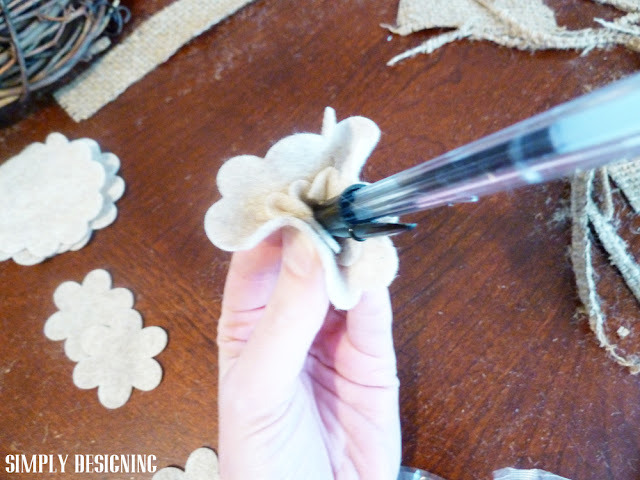 Use a large amount of hot glue to secure a small flower to a larger flower and pinch together to create a ruffled flower. Attach 6 or so flowers to your grapevine wreath with hot glue. Fourth, wrap jute around a portion of your grapevine wreath and secure with hot glue. I absolutely LOVE how it turned out and couldn’t wait to give it to my friend! So I wrapped it with pretty tulle and ding-dong-ditched it at her front door! Except that I could hear her children getting their shoes on by the front door so I knew that I couldn’t actually ring the doorbell or I would be caught! So, I just left it and ran away as fast as I could! I am so grateful for wonderful friends and amazing family. I have so many people who bring such JOY into my life and I was so happy to be able to pay the kindness forward today! 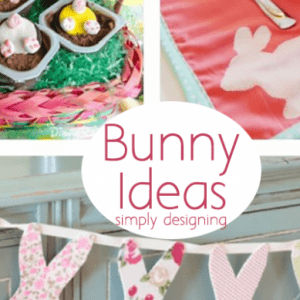 You can follow ConsumerCrafts here: Facebook, Twitter, Pinterest, Instagram and on their Blog! Oh thank you so much!! And thanks for stopping by! Can&#39;t wait to check our your site too! How cute! I love the wreath that makes the &quot;o&quot;, such a great idea! So cute. Love how you styled it!!! Thanks so much ilovetocreate! And thanks for stopping by! It looks great! 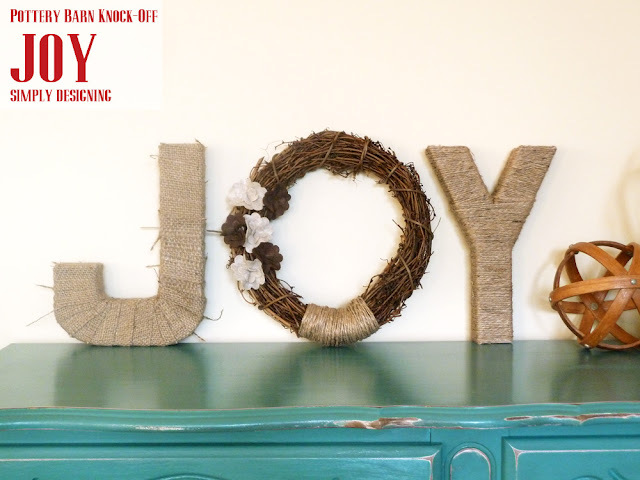 so very cute and I love the entire mantel! Thank you so much Ashlee! Thanks for stopping by too! Wow! Just love this! Going to pin it for next year!